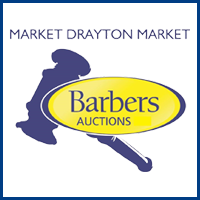 Thursday 5 July at 7.30pm Standing Straw Sale here at Drayton. Wednesday 11 July at 10.30am Dairy Young Stock Dispersal Sale here at Drayton. Thursday 12 July at 10.30am Dispersal Sale (S.P. Smith & Sons of Burlton Grange, SY4 5SX).